This page is for those who want the instruction to fold a traditional origami cap. 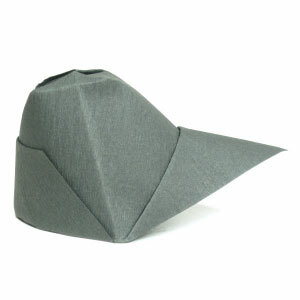 This traditional origami cap allows you to wear it if you prepare for a large square paper. paper dimension, x = diameter of you head * 20 / 6.
x = 16 cm * 20 / 6 = 53.3 cm. 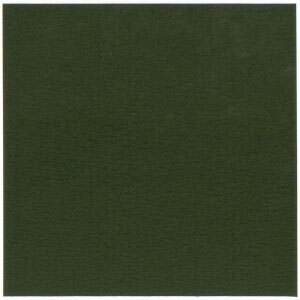 Therefore, you will need 53.3cm x 53.3cm square paper to make a cap. 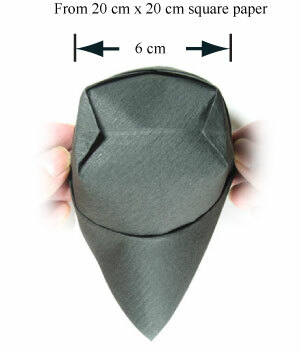 You may use any kind of paper to fold this origami cap..